Mighty Jaxx has released a seventh wave of its awesome line of DC Comics XXRAY Dissection vinyl figures by Jason Freeny! But where’s my Booster Gold XXRAY figure!?! DC Comics XXRAY Dissection Wave 7 includes three iconic DC characters: Catwoman, Supergirl and Robin! 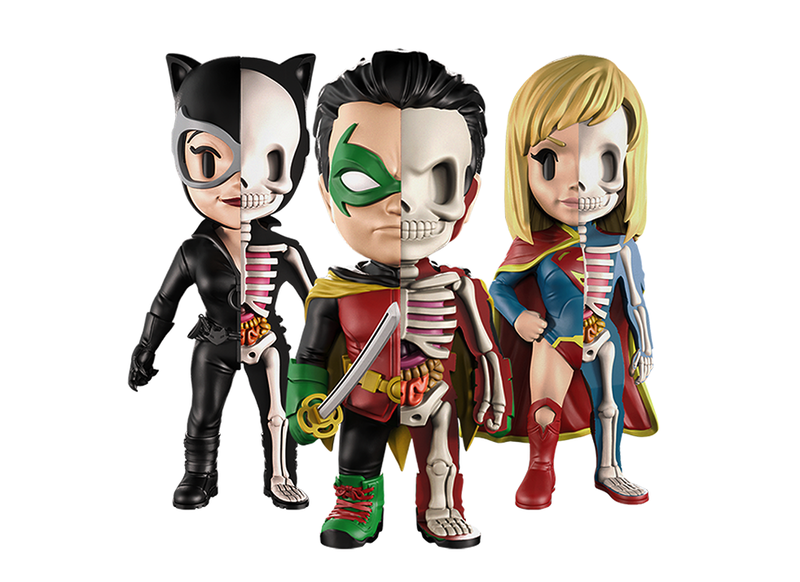 Made of PVC materials, these limited edition XXRAY figures were dissected by Jason Freeny, illustrated by Ben Qwek and sculpted by Adam Tan. Each DC Comics XXRAY Series 7 vinyl figure stands 4” tall, features a unique dissection design and comes individually hand painted and assembled in window box packaging. 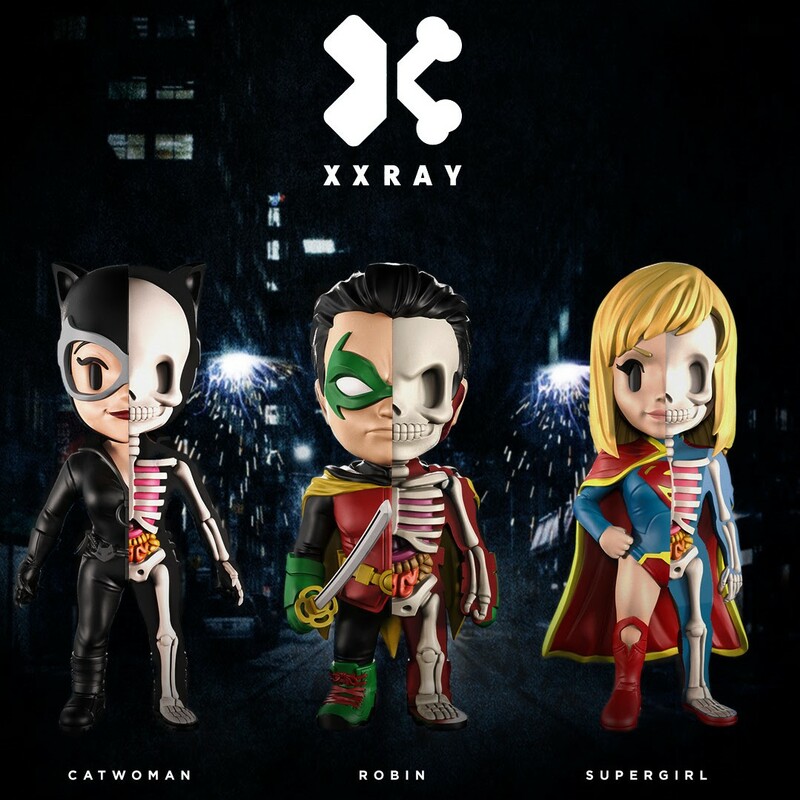 Collectors can order these new DC Comics XXRAY figures now at the Mighty Jaxx online store for $19.99 each.